How To Train Your Dragon was just the break I needed from all the boredom and pre-exam stresses I've been sustaining these past days. It so happened—as it always does—that I suddenly had the inkling to do something else, so I got out of the depressing shell that was my room and headed straight to the cinema. A masterpiece from Dreamworks, the movie is hilarious yet insightful, in just the right combination, in all the right places. No wonder I had to restrain myself from loudly speaking to myself in public—I think I said words like, "Oh, man, that's really funny" or "Aww, that's just so . . . sweet"—because that's how well this movie rolls. It gets into you. The story is set in a mythical Viking world called Berk. I like how it's described, "It snows for six months, and it hails for three." True enough, the place looks bleak, but it appears scary when fierce-looking dragons begin flying all over the place, eating the cute-little sheep grazing on the meadow. The Vikings—muscular, bearded men, with Scottish accents—fight these beasts to the death. They've been doing so since the beginning of time. In the backdrop of this testosterone-induced display of valor enters the character of Hiccup (voiced by Jay Baruchel), the complete anti-thesis of the ideal Viking man. Ironically, he is the son of the chieftain. His father doesn't know what to do with him. He's too weak to even carry a weapon, let alone face a dragon and defeat it. But Hiccup wants to belong, and so he tries hard to be as brave as he can be, to gain acceptance and respect in the community. While his father is out on a hunting trip, Hiccup finds a wounded dragon in the woods. He realizes he doesn't have the strength to kill it. 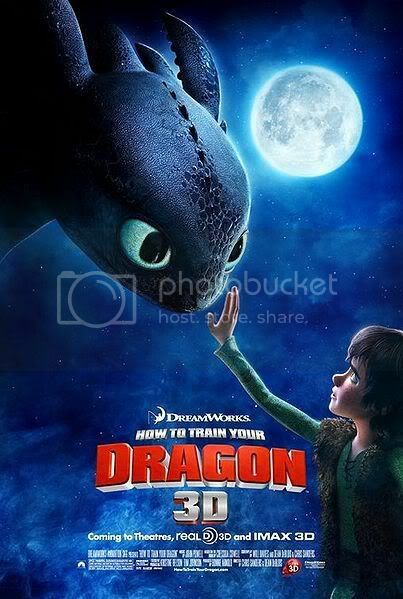 He discovers that the dragon, which he'd later name Toothless, is just as afraid as he is. The two become friends, and this interaction gives him insight into the mysterious dragon world. The scenes that follow are strikingly beautiful. The soundtrack is soulful. And the animation itself is a work of art. There's so much to say about the film. The story is simple, but it cuts deep into one's emotions. Personally I love it because it reminds me of the happy days of my childhood: those times when I felt invincible, when I thought I could do anything. It's hard to get over that movie experience. I'd say it's the best movie of the year I've seen thus far. Please do yourself a favor and watch it. We go a long way. 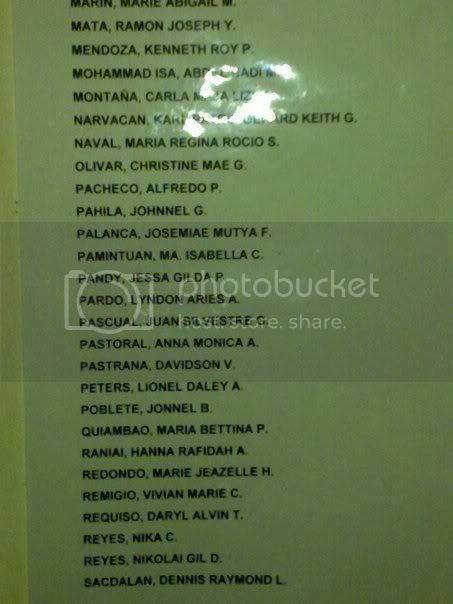 Who could forget Kalayaan Christian Fellowship (2005) when you were in first year, and you were our only regular attendee? We then became classmates in MBB, and now we're stuck in the same class in Medicine—for the next four or more years. Your life stands as an encouragement not only to me but to the rest of us who press toward the upward call of God in Christ Jesus (Philippians 3:14). Seek the Lord, for the nearness of Him is your good (Psalm 73:28). And continue to glorify Him in your relationships, studies, and ministries. Happy birthday, Jana Mier! I'm looking forward to more Monday morning prayer times and weekly Bible studies. 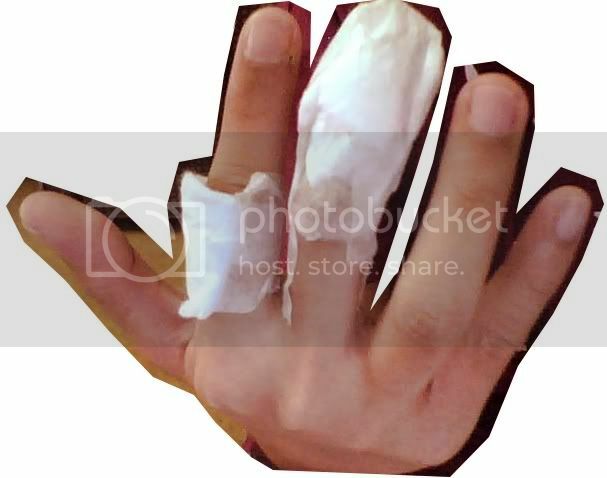 It was never my intention to blog about this for fear of public ridicule: I had my warts removed. Who has warts but people who don't wash their fingers, right? But that's a common misconception. You can get the virus anywhere. Oh, the warts were in the right hand, just so you know. I had fun during the medical procedure for two reasons: one, the dermatologist was pretty, and, two, it felt great to see portions of my skin burn. But it was mostly because of the dermatologist. When I'm tempted to pity myself for being so mediocre in anatomy, I remind myself that God's design of the human body is too complex, too amazing, that my puny brain could only understand parts of it—and incompletely at that. 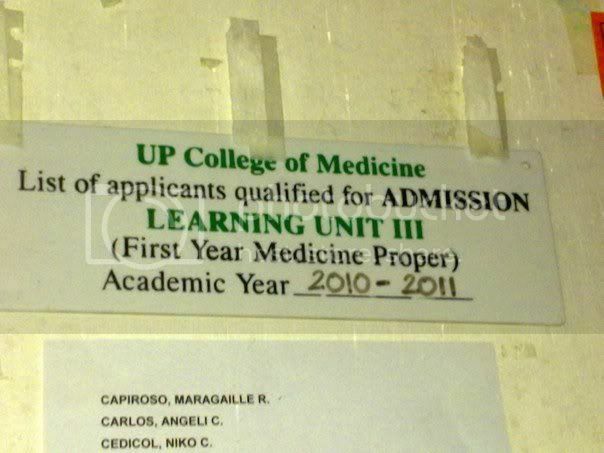 Isn't med school such a humbling experience? The entire afternoon is free, and I have nothing else to do—except to wallow in solitude inside my room if I choose to. There are times when it's healthy to be alone; this isn't one of them. And so I spend a couple of minutes at the Stones where my transbox is—a glorified locker, but only an eighth of the size—hoping to see people and start conversations with them. My friend Marvyn comes right up to me, "Do you want to go to Divisoria with us?" "What are you and Jonas up to now?" I ask. "We're starting a business: uniforms. We're buying the fabric today. Do you want to come?" I'm personally not a fan of crowded places, but Marvyn's smile, combined with Jonas' innocent insistence, is disarming. I immediately say yes until I realize I'm carrying a laptop. Divisoria is a place teeming with thieves and robbers. I remember meeting a friend's aunt whose earrings got snatched when she went there. And there are countless stories of slashed bags, lost wallets, and stolen phones. "We'll leave it at my Dad's store. 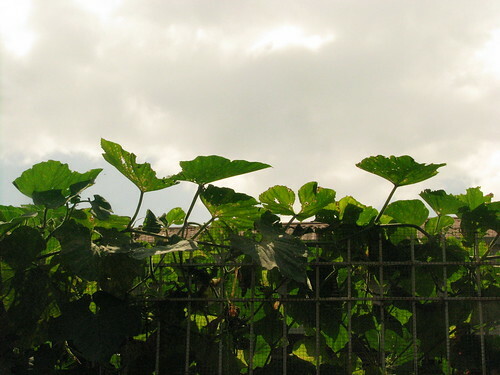 Someone will look after it, so don't worry," he says. The jeepney ride takes about 20 minutes, and suddenly we find ourselves there: ah, the glory of Old Manila. The streets are busy. Vendors populate the sidewalks. Half-naked men carry boxes like ants. And shop owners deal noisily with buyers who've come there for the discounts. Marvyn takes the lead in finding the textile shop his father recommended, while Jonas and I trail along. We feel like cars trapped in Manila's congested roads. We don't know where we're going because the directions people give us are contradicting, as if the place has no sense of permanence. "Ask the policemen," I tell Marvyn. We're told the old Manila textile shop has been burned down to pave way for the construction of a Puregold grocery store. "But some shops are still there, in the building that still stands," the man adds. After what seems like an eternal walk, we find it: a decrepit building with black cobwebs in the ceiling. It feels like we've been sucked into an old photograph. Marvyn talks to the owner in broken Chinese. I don't understand a thing, except for the occasional mention of fabric names, but I'm sure they're reaching some form of agreement. We leave the place with a sense of accomplishment. The two guys are excited: their business is rolling. But the sun is setting, and we're all bogged down. "Do you want noodles or dimsum?" Marvyn asks. "Can we have both?" I say. 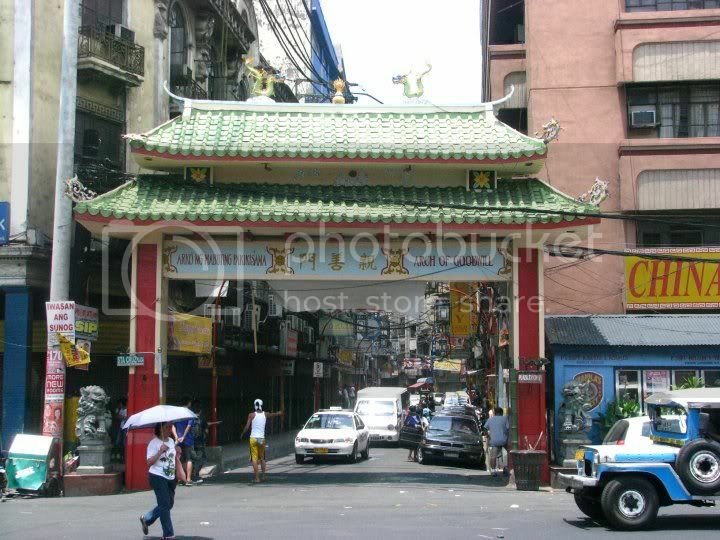 Marvyn knows just where to go: a restaurant in Binondo where they make noodles from scratch. I order noodles with pork innards as toppings, and we all agree to share the dimsum. The food is mouth-watering. "It'll take me a week to finish digesting everything I just stuffed in," I say. It's already dark when we leave the diner. We take a long walk to Avenida to catch the train that should bring us to our respective destinations. As I alight the LRT, I remember the overwhelming number of lessons I have to study. But it comforts me to know that the world outside goes on as it should, and that my laptop is neatly tucked inside my bag, intact. I had the opportunity of watching the UP Medicine Choir concert entitled "I Sing You Sing" at Philam Life Auditorium, UN Avenue a while ago. I had nothing else to do, save for some errands here and there, so I felt my feet itching to go somewhere else. I figured it's been a long while since I had last listened to a concert, so I went. 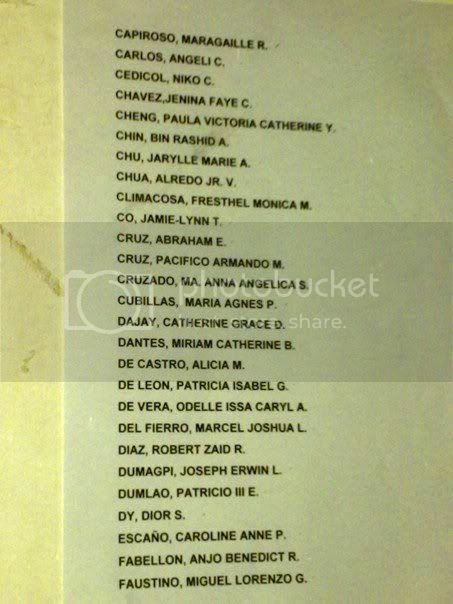 Besides, a few of my classmates—Laureen Lukban, Maisie Magnaye, Rich King, and Anne Barraquio—were performing. It was also a benefit concert for the Foundation for the Advancement of Neonatal Technology and Services (FANT)—I saw Dr. Blas Mantaring sitting in the front row. The show turned out to be an emotional high for me. The song choices were wonderful. The first half featured more serious, classical songs; the second was more lively and contemporary. The singers looked like they enjoyed every bit of their time on-stage. There were some awkward moments, too, when cell phones were beeping in the middle of a heart-wrenching song, so I guess the organizers need to work on keeping all phones quiet during the performances. All in all, though, it was a great show, considering that the singers were full-time medical students. It must've taken a lot of sacrifice on their part to go to practices. But it was all well worth the effort. The performances that stood out for me were "We Are The World," "Go The Distance," "Anak," and "This Guy Is In Love With You, Pare" where my schoolmate, Daryl Dagang, performed a solo of sorts. I knew he could sing, but I didn't expect that he could sing that well! After the show, I had a little chat with some friends from my high school. They were asking me why I didn't join. I haven't been singing in a very long time. I said I did try auditioning for Med Choir, but I had other priorities. But who knows? Maybe someday. I awoke early in the morning to check my mail, expecting to find another set of queries about our research paper. My groupmates have been working extra-hard these past days, and I can liken the stress to my experience of writing my undergrad thesis. I'm sure the same goes for them, perhaps even worse because three are writing a scientific paper for the first time. Thankfully, the first draft is done, and our adviser is checking it at the meantime. I'm not sure if I should write about the updates about our project, but blogging seems a pretty good way of outlining my thoughts. 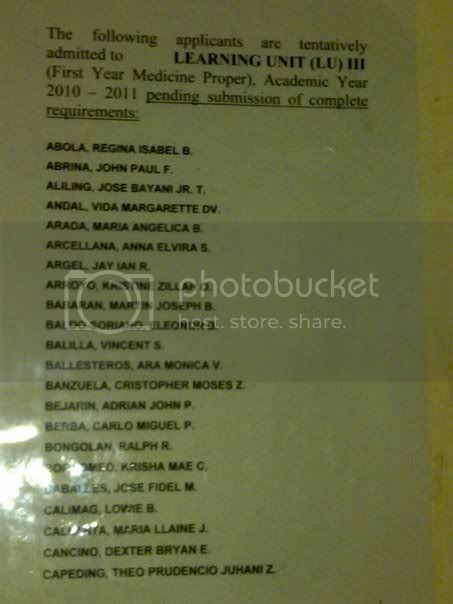 Of course, things are far from over, but I'm thankful we're taking these small, baby steps towards the finish line. Instead of going back to sleep, I watched a video of a man taking a 21-hour train ride to go to Northern Russia. Will someone please take me to Russia after the research presentation is over? Assuming, of course, that it will be. Not many people know this: that I get unconscious when I travel for long hours—precisely the reason why, for the past two months, I've lost two phones simply by taking public transportation. My pockets weren't even slashed; my phones simply chose to slip off. If I were, say, in Tokyo, a missing phone wouldn't be a problem. The Japanese are too honest; they return things to the rightful owner without any theatrics. In Manila, news like that would make headlines in TV Patrol. When I got off the FX, on my way to Quezon City, I could no longer palpate my phone from my pocket. I knew I had lost my phone forever. We took the same FX yesterday from Manila. I found your phone in the seat beside me when you alighted at NBS [National Bookstore], and I've been waiting for any text or call from you. So I read your inbox (my apologies) and found your Kuya's number. I texted him, introduced myself and asked for any contact so I can return your phone. 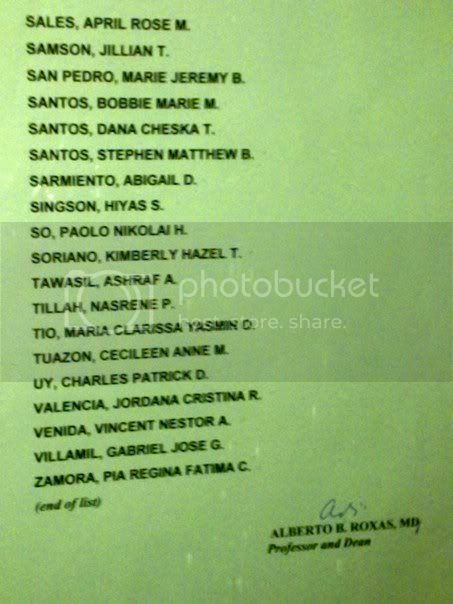 I was glad to learn you're an isko, and a future doctor at that. It will be a disservice if I don't return your phone to you, and I actually feel delighted to do this small act of kindness . . . You can email me back or text me so we can meet. I live in Manila, too, so I guess Rob Ermita will be an ideal rendezvous. Let's meet in the afternoon some time this week. And oh, I have read some of your messages in my attempt to know the owner of the phone and used up your load to text your bro. I think that's the price you have to pay for having left your phone. I finally met Jonell—a friendly, jolly guy who speaks Ilonggo. To probe into him, I asked diagnostic questions. I later learned we had so many things in common. He studied in UP Diliman. 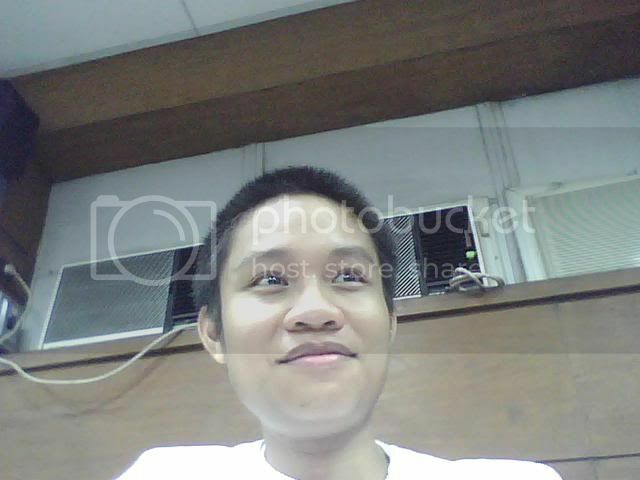 I knew many people he knew: he was roommates with my friend, Gideon Libiran, at Narra Residence Hall. He also knew the people from my dorm. We live in a small, small world. I praise the Lord for people like him, those who choose to do the extra mile for an act of kindness, without any expectation of return. My experience didn't exactly bring back my trust to humanity, but it made me realize that not everyone in the street—in this case, the FX—has the potential to strangle, harrass, or steal from us. 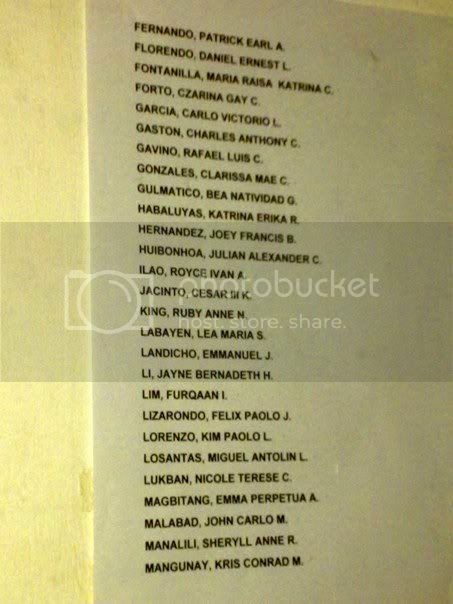 Here's the list of applicants qualified for admission for academic year 2010-2011. Congratulations, Class 2015! Get as much sleep as you can, for next sem, the real work begins. I've been wearing eyeglasses since Day One of med school—that is, until two days ago when I tried contact lenses again. I did it out of a whim, really, when I accompanied my classmate Carlo de Guzman over at Executive Optical to have his torn lenses replaced. Right there and then I realized I had to buy a pair myself. I'm impulsive like that. I think that's why my classmates think something's quietly missing when they look at me without them—the glasses, I mean. Like my front teeth just fell off. Jonas Bico said l looked weird. Jay Magbohos said I looked better. Camille Yuga said I suddenly had smaller eyes. The funny thing is, I myself need to get used to my new, original look. But enough of me. I just hope I don't forget to take them off before going to sleep—or else I'd go blind. I thought I came to the movie prepared. I had read Lewis Carroll's Alice in Wonderland and Through the Looking Glass in 2004, and while I could hardly remember the story, I had clear expectations of what the movie ought to be. Apparently, it was supposed to be a modern adaptation: Alice, now grown up, would go back to Wonderland and defeat the Red Queen. The movie didn't turn out to be as good as critics thought it would be. I feel alone in saying this, but there wasn't much to it, except for the graphics. Johnny Depp didn't even deliver. For a six-year old, I looked rather stiff. The photographer—or my parents, I don't remember which one—must've motioned me to stand straight. 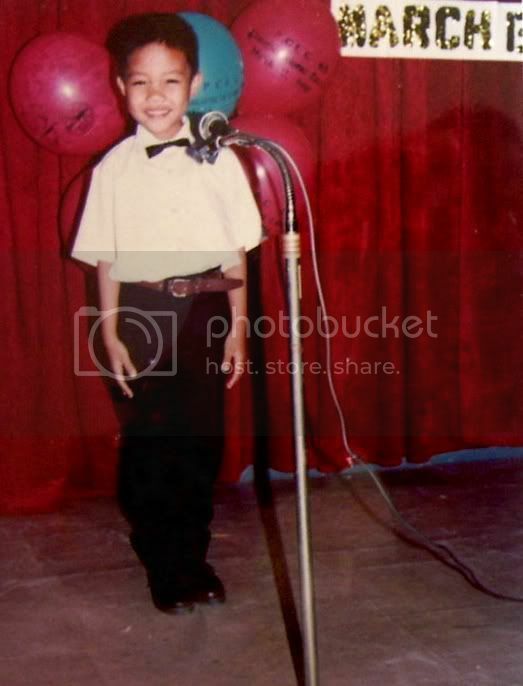 This was taken during our pre-school graduation in Precious Child Learning Center in Koronadal City, a wonderful school where I learned how to read and right properly. I was Master of Ceremonies for the program. I remember having these cue cards the size of 5 x 8 index cards where really large letters were written. One of my favorite lines was, "Let us welcome Mrs. Mila Precioso, the school principal, for her opening remarks. Let us give her a big round of applause." That was in 1996. 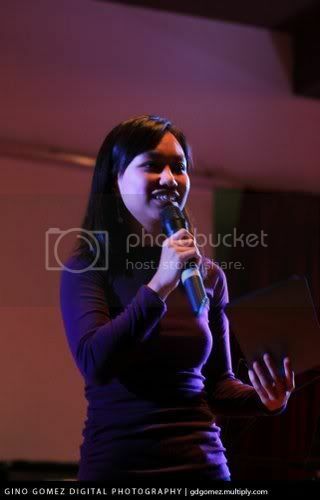 And what's amusing—funny, even—is that I still say the same things today, when I do the emcee-ing. Some of the things we did in our childhood leave indelible marks on our present person.